Peugeot UK's Kris Meeke and Paul Nagle will fly to Sao Paulo next month for the Rally Curitibia Brazil, the next round of the IRC Series, after an eventful 2010 Monte Carlo Rally. At one stage, the reigning Intercontinental Rally Challenge Champions looked to be ready to take the lead, probably the most challenging of all asphalt rallies. 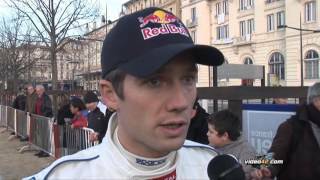 They went into Day Two of the event, ready to do battle with Ford's WRC stars Mikko Hirvonen and Jarmo Lehtinen. Problems developed on Stage 5. Their Peugeot 207 S2000 touched hidden black ice on the approach to a bridge. The car slid slightly wide and went down an embankment. The car could not be recovered. Meeke and Nagle stood on the approach to the corner, sportingly warning fellow competitors to slow down. Meeke insisted the fault was all his, but there were no recriminations from team chief Marc Van Dalen. "These things happen. We are a team. We win together, we lose together, and we will go to Brazil to win once more" he told iRally. "I have complete confidence in Kris and Paul". 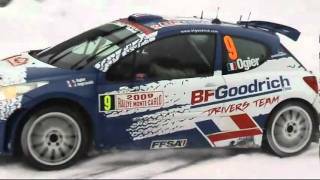 Tyre choice is always crucial in the Monte Carlo Rally, but in this instance, the car would have slid off whatever tyre combination was fitted. There was a certain sense of déjà vu about the incident. A similar "off" happened in last year's Monte Carlo, but Meeke and Nagle then went on to win the IRC Drivers Championship, and helped Peugeot retain their manufacturers' title. Van Dalen says the same can happen this year, and head of Peugeot Sport Olivier Quesnel, speaking to Rally Radio in Monte Carlo, warmly praised Meeke's ability. 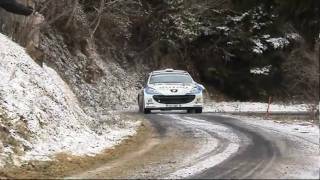 The final night of the rally saw an exciting battle on the legendary Col de Turini stages between Mikko Hirvonen and Sébastien Ogier. Hirvonen the overnight leader defied the pundits by holding the Frenchman at bay on SS12 and13. Ogier eventually retired ahead of the final 2 stages with a broken alternator drive shaft, gifting a very comfortable victory to Hirvonen. The Intercontinental Rally Challenge takes participating drivers to some of the most exciting and evocative rallies of the world. Peugeot has won the Manufacturers' Championship every year for the last three years. Kris Meeke and Paul Nagle's campaign is backed by Peugeot UK, who use the IRC to showcase the rally version of their popular 207, the S2000. This is a full-blown 2-litre 4-wheel drive rally car, capable of competing on asphalt, gravel, snow and ice.